Sitting in a hot trailer out on the northern New Mexico desert, Arizona State’s great soil scientist Tom Brown tipped back his cowboy hat, and asked me if I had been lonely over the previous week. Classes at BYU started up in August, and our other field workers on the project, with the University of Utah Engineering Experiment Station, for EPA and New Mexico Public Service, had gone back to class. My classes at the University of Utah didn’t start for a few more weeks — so I was holding down the fort by myself. Dr. Brown’s expertise in reading air pollution damage on desert plants propelled a good part of the work. He showed me how to tell the difference between sulfur dioxide damage and nitrogen oxide damage on grasses and other plants, and how to tell when it was insects. He had some great stories. As a Mormon, he was also full of advice on life. Between Farmington where our hotel was, and Teec Nos Pos where our most distant (non-wet) sampling site was, radio reception was lousy most of the time. The Navajo-language AM station in Farmington played some of the best music, and sometimes it could be caught as far west as Shiprock . Most of the time, driving across Navajoland, I had nothing but my thoughts to accompany me. Well, thoughts and the all-too-frequent Navajo funeral processions, 50 pickups long on a two-lane highway. “No, not lonely. There’s a lot of work, I’ve got good books, and sleep is good,” I told him. Brown spent a couple of days. Within a couple of weeks I turned everything over to other Ph.Ds to shut down the wet sampling for the winter, and caught a ride back to Provo (closer to where I lived) in a Cessna with a pilot who loved to fly low enough to see the canyons along the way. Get a map and think of the possibilities, with a landing in Moab; if you don’t drool at the thought of such a trip in the air but not too high, if your heart doesn’t actually beat faster thinking of such a trip, go see your physician for treatment. By that time I was out of film, alas. My few summers out in the desert chasing air pollution stay fixed in the surface of my memory. Indian rice grass still excites me in the afternoon sun (Oryzopsis hymenoides) — one of the more beautiful of grasses, one of the more beautiful and soil-holding desert plants. 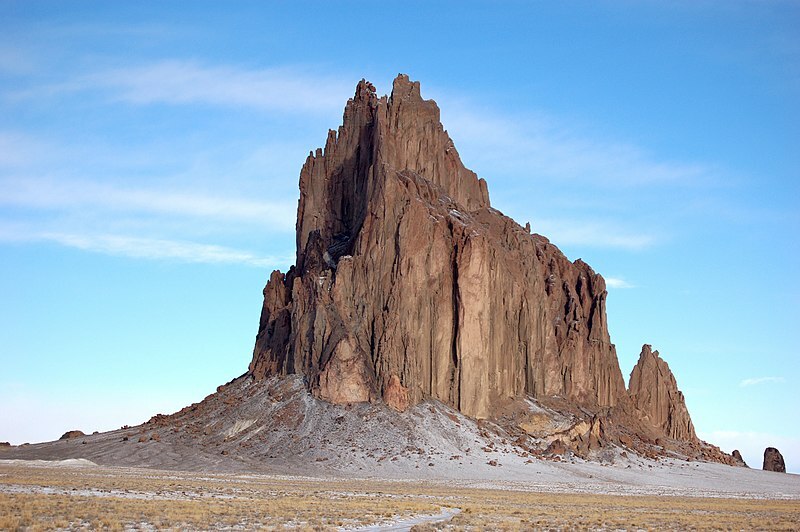 When hear the word “volcano,” I think of the Shiprock. When I read of air pollution damage, I think of all the pinon, aspen, cottonwoods, firs and other trees we gassed; when I see aspen in its full autumn glory, I remember those dozen or so leaves we caused to turn with SO2 (slight damage turns the leaves colors; greater damage makes them necrotic, a bit of a mirror of autumn). All of that came back as I watched Jason Ching’s film, “Salmon Research at Iliamna Lake, Alaska 2013,” a simple six-minute compilation of shots taken with modern electronic cameras, including the hardy little GoPros, and with assistance from a DJI Phantom Quadcopter drone. Wow, what we could have captured with that equipment! I am very grateful to be a part of such a long standing, and prominent program that allows me to work in the field in such an incredible setting with fantastic folks. This is the second video I created, the first one in 2012, to merely show family and friends back at home what I’ve been up to during the summer. This video was often shot between, or during field sampling events so a special thanks goes out to all those who supported me by continuing to work while I fiddled with camera gear. Do you really want to get kids more interested in science? Show them this stuff. Scientists get the front seats on cool stuff — and they often get paid to do it, though they won’t get rich. Researching life, and rocks, geography and landscape, and water resources, one may be alone in a desert, or a desert of human communication. Then one discovers just how beautiful the desert is, all the time.